This is an old Scania 113M 310 dump truck which is spotted here travelling along Woodlands Road in Singapore on the way to an earthwork area to collect earth. 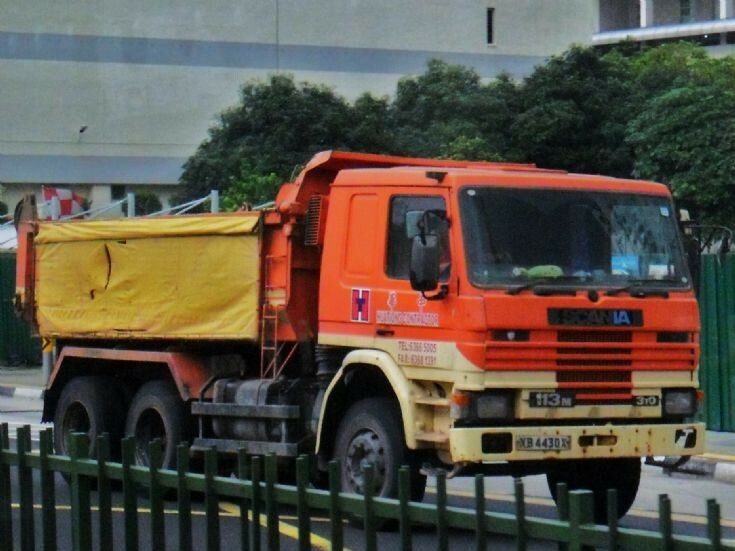 Scania dump truck is very rare in Singapore and is operated mostly by big construction and transportation firms such as Hua Tiong Contractor. Its counterpart can be seen from picture #2402. Photo taken in Dec 2010.